We really enjoyed staying in Tinoca Apartments. The proximity to the city and to the beach Las Canteras is unbeatable. We enjoyed many restaurants and bars close by. The hosts were friendly and the apartment was cleaned daily. Friendly and helpful staff. Room clean comfottable and suited us well. Beach which is superb and excellent restaurants just there..Supermarket minutes away. Our.third visit and we will go again. The room we had was spacious, clean and very comfortable, with well equipped kitchen. 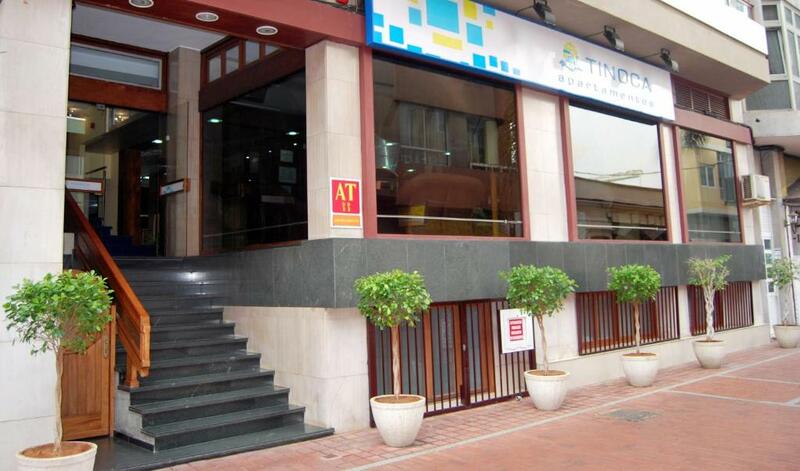 Good localisation, shops and buses near the hotel, 24 hours reception and friendly staff. 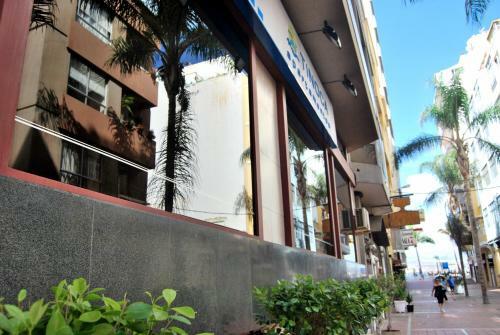 All of these makes this hotel a good choice for the stay in Las Palmas. We liked the position of the apartments near the beach and a supermarket. Also liked the roof terrace. excellent check in staff very helpful and fab location .it is very basic but all you need for a short break .reasonable price for location . Very friendly and helpful staff at the reception, a very tidy, spacious and well equipped studio. Great location. A place I can only recommend. Lock in a great price for Apartamentos Tinoca – rated 8.1 by recent guests! Apartamentos Tinoca This rating is a reflection of how the property compares to the industry standard when it comes to price, facilities and services available. It's based on a self-evaluation by the property. Use this rating to help choose your stay! One of our top picks in Las Palmas de Gran Canaria.Apartamentos Tinoca are just 100 feet from Las Canteras Beach, in the picturesque La Puntilla area of Las Palmas de Gran Canaria. They offer 24-hour reception, a sun terrace and free WiFi throughout. Studio apartments look out over the quiet inner courtyard or the pedestrian street outside. Each has 2 single beds, a living area with satellite TV, kitchenette and bathroom. The surrounding area has several supermarkets and is also full of charming seafood restaurants, offering you a choice of dining options. When would you like to stay at Apartamentos Tinoca? Studio apartments look out over a quiet pedestrian street with a partial view of the beach. Each has 2 single beds, satellite TV, kitchenette and a bathroom with a shower. Free WiFi is available. These studios have 2 single beds and are equipped with satellite TV, a kitchenette and a bathroom with a shower. Free WiFi is available. Tras 60 años ubicados a 30 paso de la playa de Las Canteras ya formamos parte de la historia de esta playa. Largas caminatas sobre la arena. Barrio de la Isleta, una pequeña isla dentro de otra isla. House Rules Apartamentos Tinoca takes special requests – add in the next step! Apartamentos Tinoca accepts these cards and reserves the right to temporarily hold an amount prior to arrival. Any guests who anticipate arriving after 8 pm should contact the property in advance. Please inform Apartamentos Tinoca of your expected arrival time in advance. You can use the Special Requests box when booking, or contact the property directly using the contact details in your confirmation. We could hear lot of sounds from the other apartments in the building. Two single beds instead of a double bed. Location was nice. Very close to beach. More facilities in kitchen would be an advantage. Kitchen poor. Very, very noisy and could not sleep. Checked out after one night!! A kettle in the kitchen would be nice. Too much noise. Too much light coming from an internal patio. Bed was comfy. Really clean. The shower is big enough for two people.